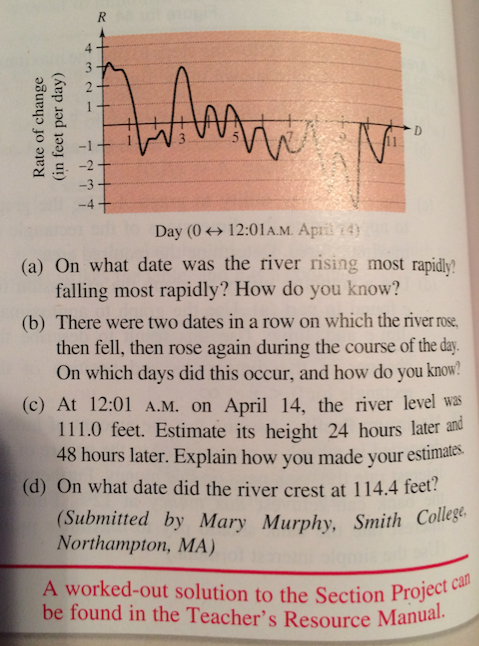 Mrs. McCullagh writes in about two Calculus sightings! This morning in assembly I gave a presentation where I talked about the lively nature of mathematics, the largest known prime number, and black holes! 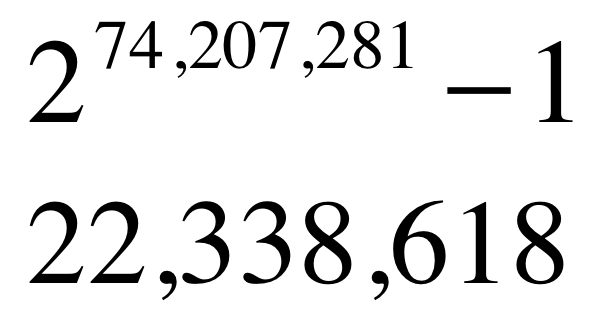 The new largest known prime number and the number of digits it contains! Team USA and a New Largest Prime! Math is back in the news! This just in from Mrs. McCullagh via Science Friday! 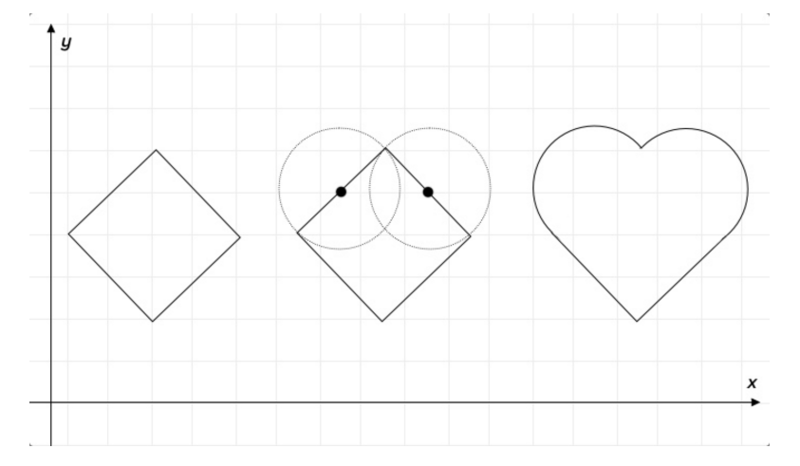 What better way to impress your valentine than with beautiful mathematical patterns? The human eye is naturally drawn to patterns, which is why repetitive designs adorn our homes and churches, printed fabrics and wallpapers are design staples, and dishes feature motifs of rotational symmetry. 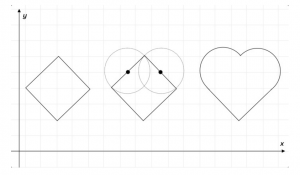 With a little math, you can use hearts to create captivating and ornate graphic patterns perfect for making valentines! Read the full article right here! This just in from Mrs. Hill! It has long been a subject of debate among mathematics historians whether Isaac Newton or Gottfried Leibniz first invented calculus. It turns out that they both may have been beaten to the idea by the ancient Babylonians as far back as 350 BCE. In a recent Science article published on January 28th, we learn that new evidence suggests that the Babylonians came up with techniques for measuring the paths of planets, the sun, and the moon across the night sky that involved the fundamental calculus idea of Riemann sums. Between 2002 and 2008 astroarcheologist Matthieu Ossendrijver of Humboldt University in Germany noticed drawings of trapezoids in various tablets held by the British Museum. 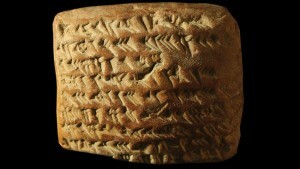 Then in 2014, Assyriologist Hermann Hunger of the University of Vienna visited Ossendrijver, bringing pictures of another Babylonian tablet with computations identical to those from the British Museum tablets. Ossendrijver realized that the Babylonians were using trapezoids to approximate the distance traveled by Jupiter across the sky from their velocity curves. This is a discovery central to the idea of integral calculus. At Williston Northampton School, our calculus students still use similar techniques to develop the concept of the integral. 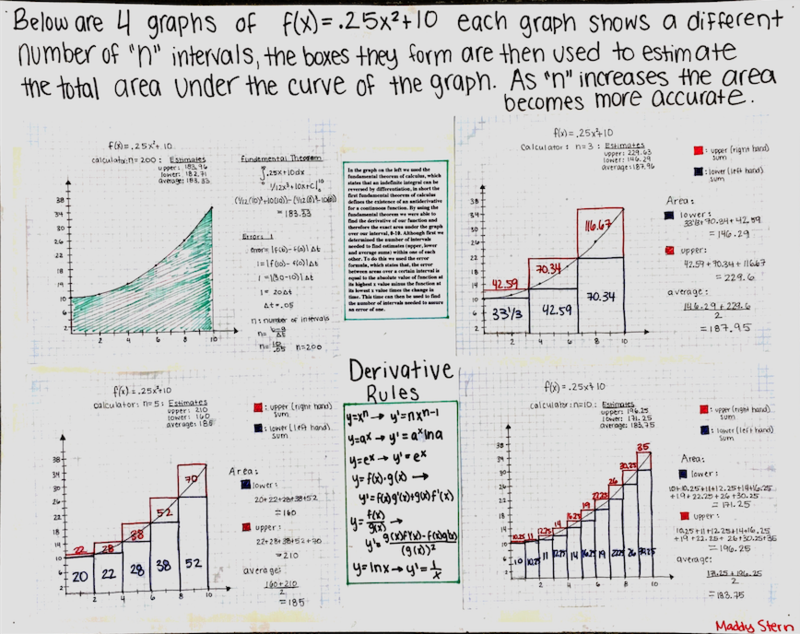 The photo below shows a poster created last year by Maddy Stern ’15 in Martha McCullagh’s calculus class that highlights this same idea. Little did she know that the Babylonians had been doing the same thing over two-thousand years ago! MRC tutor training with a smile! The Math Resource Center tutors not only commit to being available once a week all year as math tutors, but they also take time out of their busy schedules to meet and discuss how to increase the number of students taking advantage of this great resource as well as how to improve their tutoring skills. 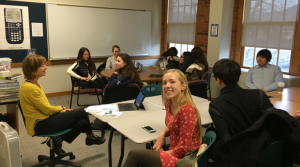 The group met after classes on Friday, 1/15 and brain-stormed ideas regarding how they and the faculty could entice students to take the first step and come in for help. After sharing several suggestions, the tutors moved into an activity that was designed to help them ‘practice’ tutoring, particularly targeting the skill of what to do when the tutor gets stuck! 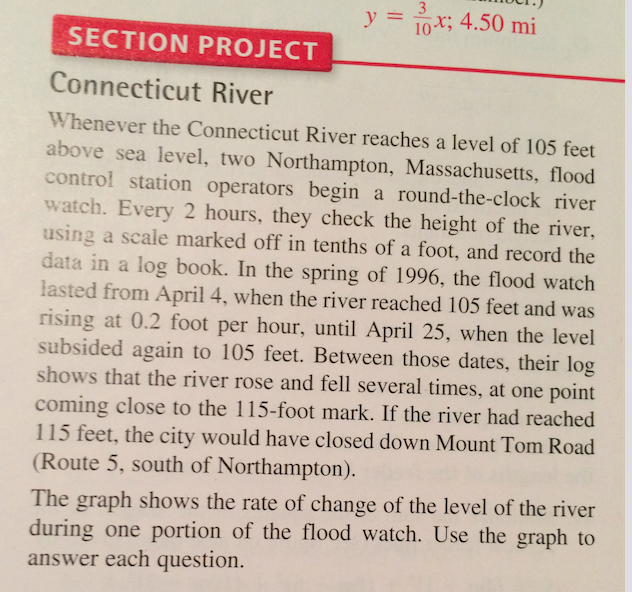 Each group was presented with a challenge problem. It was inspiring to watch the tutors discuss, debate, and search out resources such as textbooks and the internet, to help them understand and do their best to solve the problem. 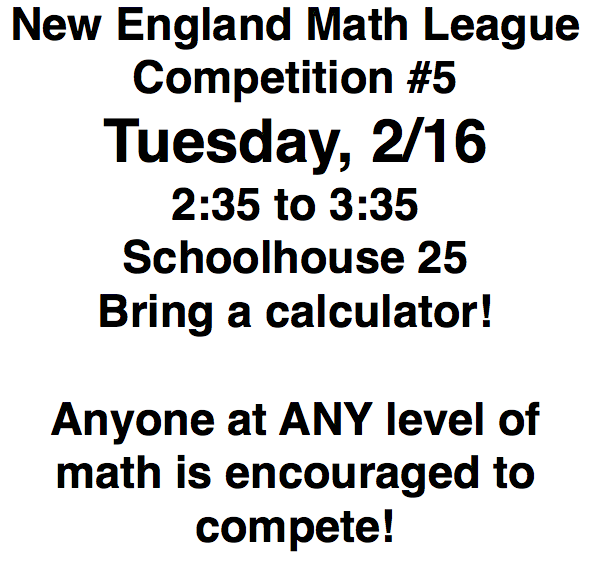 These 19 students are dedicated to helping others improve their understanding of mathematical concepts, and they truly hope that more students will start to take advantage of this fabulous resource.